This is a costume or outfit of choice pageant only! 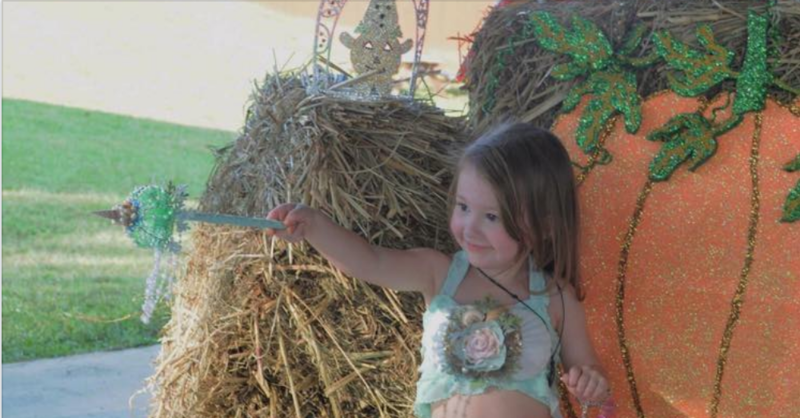 It's that time of year for the 7th Annual Miss Great Pumpkin Patch Pageant to be held at the Great Pumpkin Patch in Hayden, AL on September 30, 2018. We want YOU and your kids!!!! We have tons to give away this year and the patch has some new things!! As always we are an ALL CROWN pageant and it's LOADS of FUN!!!! The registration packet is attached along with a ticket sheet. The tickets are $1 each and the contestant who sells the most will win a CROWN, sash and gift bag PLUS for each ticket you sell the people buying them will get there name in the gift giveaways and we have some GREAT items this year!!! The second page attached tells more about this. We will also be sponsoring the McCoy Adult Day Center as our charity this year. We have worked with them in the past and they LOVE the pageant girls, plus we LOVE helping them. The early bird special for $65 will end on Friday, September 8, 2018 and after this time the entry fee will be $75. Payments can be made through Facebook Pay or Paypal. If you have PayPal make sure to mark as friends and family or you will pay the extra fees. Anyone can call or text me at 205-266-6543 with any questions.